Octavia was born in Pasadena California to Laurice and Octavia Butler. Her father passed away when she was a baby, so she was raised by her grandmother and her mother. As a girl, she was known as Junie, derived from “Junior” since her mother was also named Octavia. Butler’s mother worked as a maid to provide for the family after her father died, but nonetheless they continued to struggle in a poor but racially mixed neighborhood throughout her childhood. Ms. Butler earned an associate’s degree from Pasadena City College in 1968, and later studied at California State University, Los Angeles. Over the next few years, she religiously got up each day at 2 a.m. to write. Within the next couple of years, her first novel, Patternmaster, was published by Doubleday in 1976. It became the first installment in Butler’s highly regarded Patternist series, whose later titles included Mind of My Mind (1977), Survivor (1978), Wild Seed (1980), and Clay’s Ark (1984). In 1979 she published Kindred, a novel that uses time travel to explore slavery in the United States. Kindred became the most popular of all her books, with 250,000 copies currently in print. Among Ms. Butler’s other books are the Xenogenesis trilogy, published by Warner Books, comprising Dawn (1987), Adulthood Rites (1988), and Imago (1989). 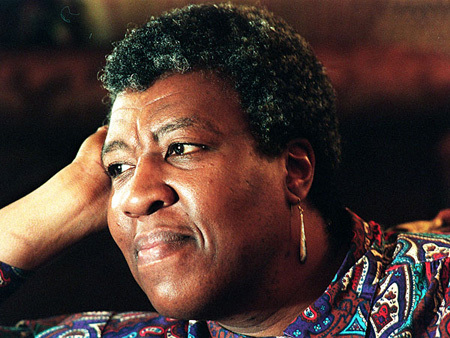 In 1995 Octavia Butler was given a MacArthur Fellowship, the first science fiction writer to receive the award. She also received two Hugo Awards from the World Science Fiction Society and two Nebula Awards from the Science Fiction Writers of America. Butler moved to Seattle, Washington in 1999, and in 2006 she died suddenly after a fall outside her home in Lake Forest Park, Washington.